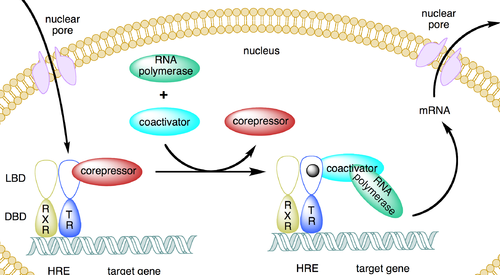 Nuclear Receptor: Is a protein found within cells that is responsible for observing steroid and thyroid hormones. These receptors work with other proteins to monitor the expression of specific genes. They are able to control the development, homeostasis, and metabolism of the organism.